Strawberry and Cream Frozen Yogurt Bark is a 3-ingredient summer wholesome snack that can be easily prepared in less than 15 minutes and is quite delicious. A real hit for children and adults! Refreshing snacks are a must for my kids in the summertime because of the constant hot temps here in Texas. Whether we are doing activities indoors or outdoors, we enjoy treats that are quick and easy to prepare such as this time-saving and mess-free Strawberry and Cream Frozen Yogurt Bark. This is a favorite gluten-free treat that can be carried along for picnics, playdates, and pool parties as well. 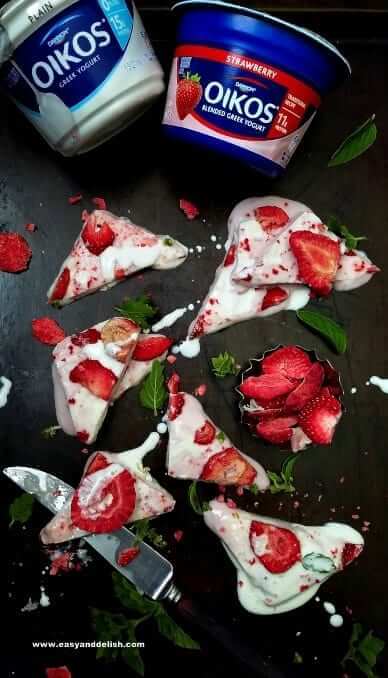 This summer frozen yogurt bark recipe uses 3 simple ingredients available at Walmart: Honey, freeze-dried strawberries, and yogurt — more specifically Dannon® Oikos® Strawberry Traditional Greek Yogurt and Dannon® Oikos® Plain Traditional Greek Yogurt. Dannon® Oikos® Traditional Greek Yogurt is delicious Greek yogurt that has 150 calories, 11 g of high-quality protein, and only 3 g saturated fat per 5.3 oz. 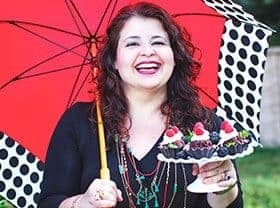 In addition, it is a versatile treat that can be enjoyed either by itself or incorporated along with other food ingredients for breakfast, snack, dessert, or a delicious ‘me time’. It comes in a wide variety of flavors and forms, including Lemon Meringue, Key Lime, Orange Cream, and Raspberry, among others. As with any other yogurt, it needs to be refrigerated! 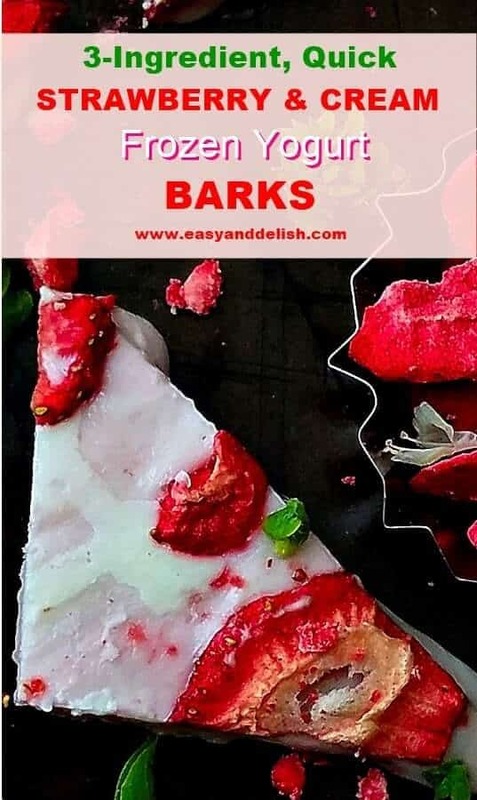 We used Dannon® Oikos® Traditional Greek Yogurt to make our yummy Strawberry and Cream Frozen Yogurt Bark, which was enthusiastically approved by our picky kiddos… and by my husband and I. 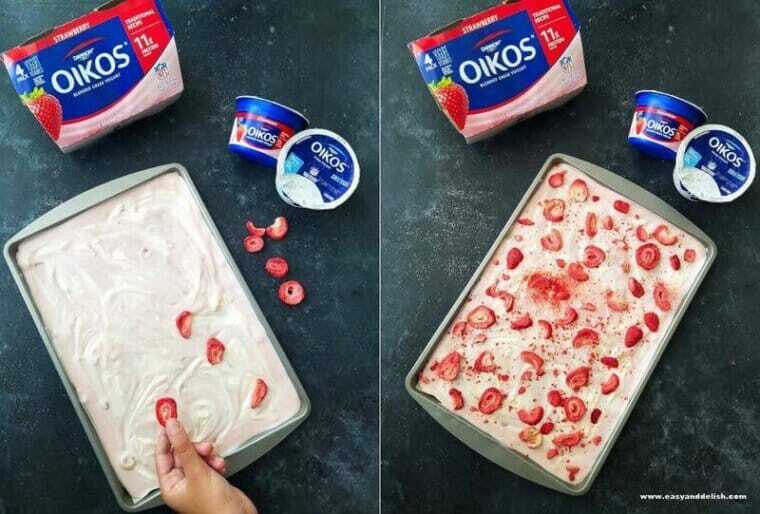 For more info about Dannon® Oikos® Traditional Greek Yogurt , as well as other quick and easy recipes — such as our Strawberry and Cream Frozen Yogurt Bark– visit www.oikosyogurt.com. I am telling you, simply grab some single servings or 4 packs at your nearest Walmart and stock up for summer indulgence. Don’t forget that you can also order it through Walmart’s Online Grocery Pick-Up. 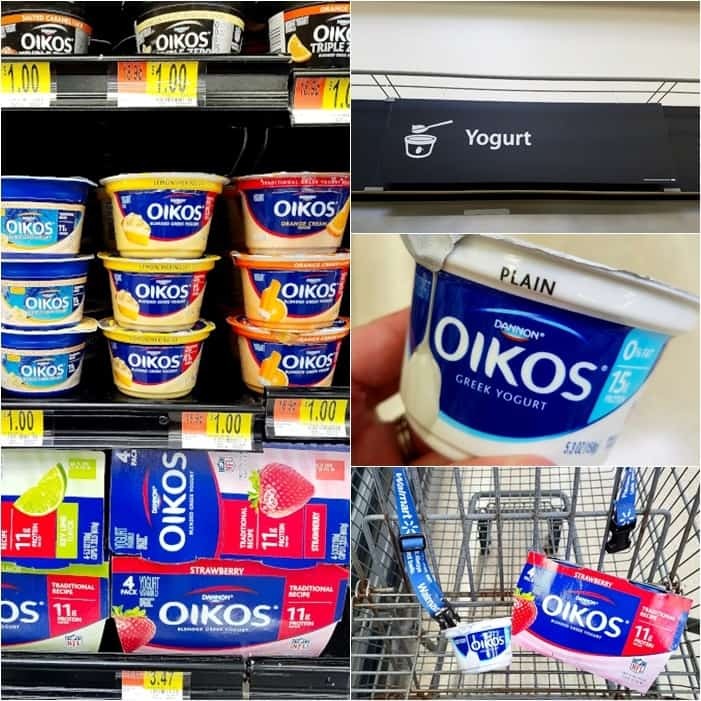 One more thing, after purchasing Dannon® Oikos® Traditional Greek Yogurt at Walmart, earn cash back with this Ibotta offer: for an Oikos Greek Yogurt 4 Pack and/or for Oikos Greek Yogurt Singles. Yes!!! Ready to make our super delish summer snack? I am not kidding, all that you will need is a bowl, spoon, and a baking sheet. Start by mixing Dannon® Oikos® Strawberry Traditional Greek Yogurt with honey. Then, pour mixture onto a parchment paper-lined baking sheet and spread to form a single layer. Scatter several spoonfuls of Dannon® Oikos® Plain Traditional Greek Yogurt on top of the strawberry mixture layer and using the handle of the spoon or a toothpick, gently make swirls. 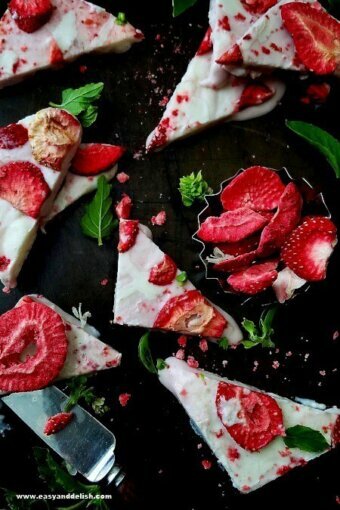 Place freeze dried strawberries on top and take baking sheet to the freezer. When bark is completely frozen, pull up the parchment paper, cut into bars, and serve immediately. Remember that as with any other frozen treat, these barks will melt after a certain time of being exposed to room temps. Strawberry and Cream Frozen Yogurt Bark is a 3-ingredient summer wholesome snack that can be easily prepared in less than 15 minutes and is quite delicious. A real hit among children and adults! 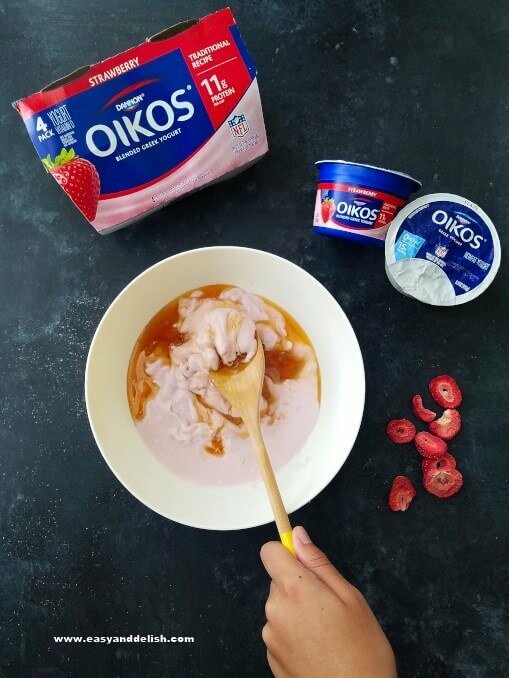 Mix Dannon® Oikos® Strawberry Traditional Greek Yogurt with honey. Then, pour mixture onto a parchment paper-lined baking sheet and spread mixture to form a single layer. Scatter several spoonfuls of Dannon® Oikos® Plain Traditional Greek Yogurt on top of the strawberry mixture layer, and using the handle of the spoon or a toothpick, gently make swirls. Place freeze-dried strawberries on top and take baking sheet to the freezer. When bark is completely frozen, pull up the parchment paper, cut into bars, and serve immediately. Enjoy! Remember that as any other frozen treat, these barks will melt after a certain time of being exposed to room temps. Three ingredients? I can handle that! Very creative looking dish, and I’ll bet this is delish. Thanks! Thank you! Definitely a family fave summer snack. What a fabulous way to enjoy yogurt! And those freeze dried berries add so much flavor. It is really delish indeed! Sounds Yummy!! Being not that much fan of dessert, I must say I am drawn to it. Thanks a ton, Helene! I am glad that you are drawn to it. It is mildly sweet and way healthier than a dessert. The kids loved these frozen yoghurt bars. I will be making them again soon.